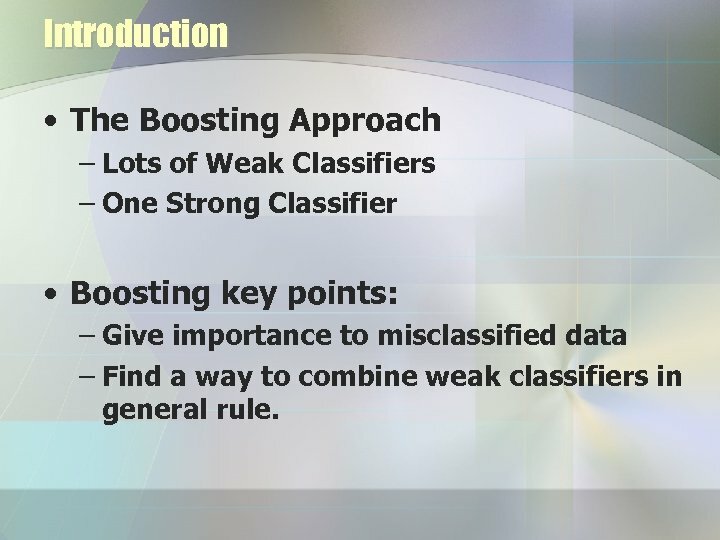 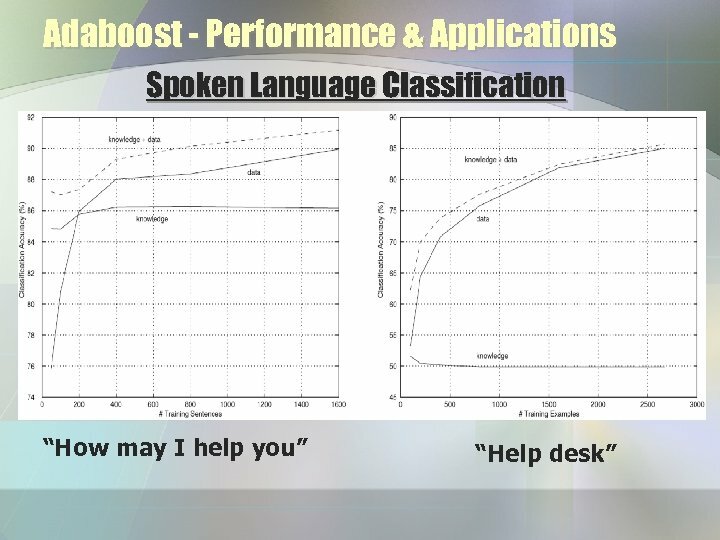 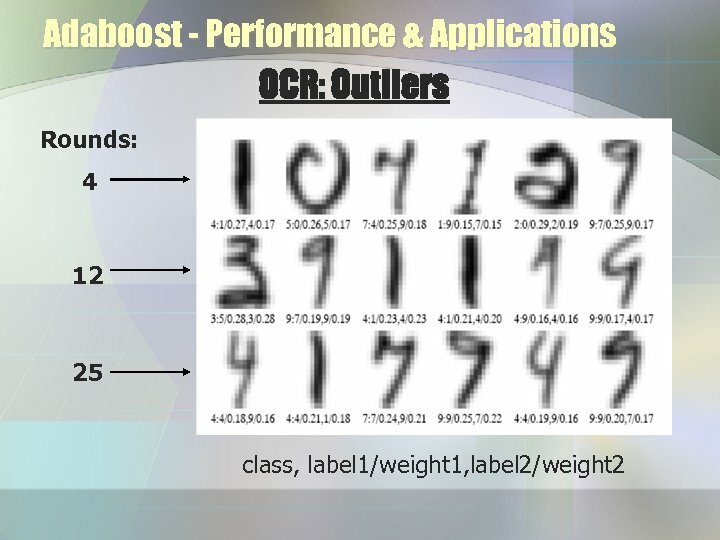 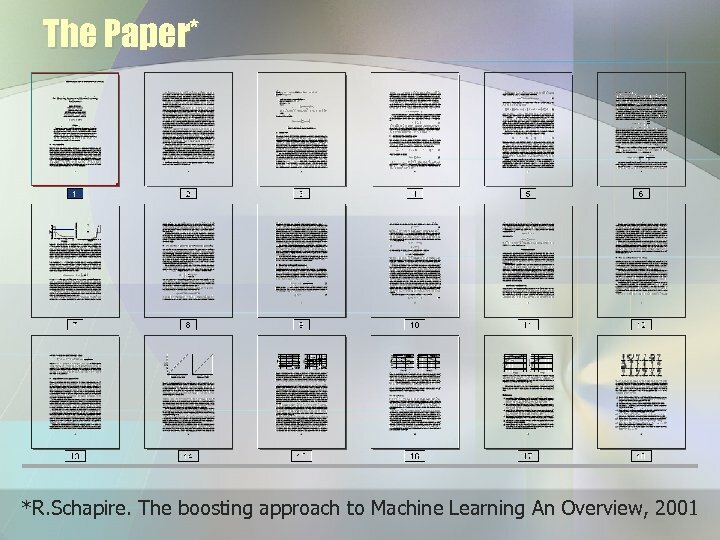 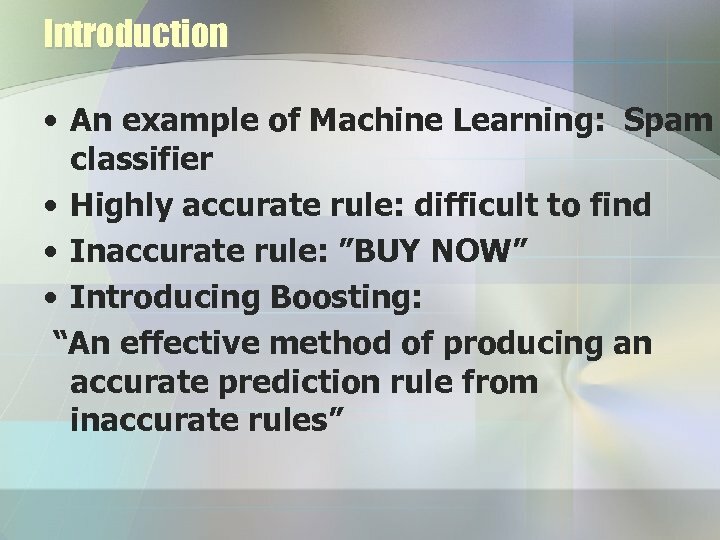 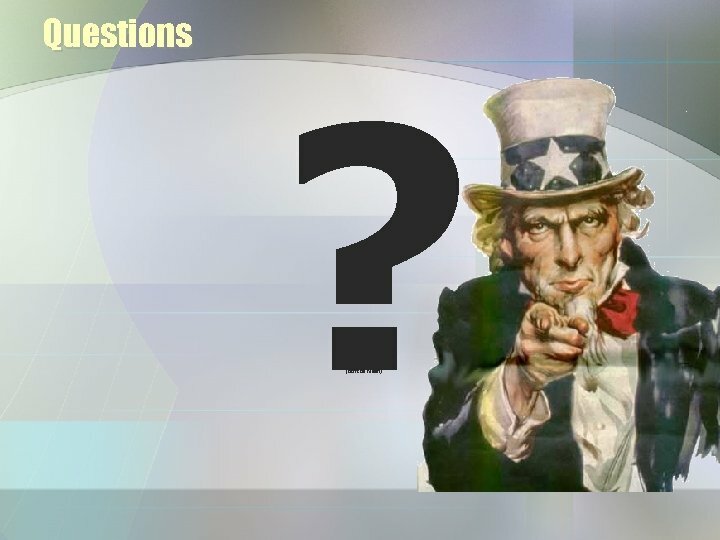 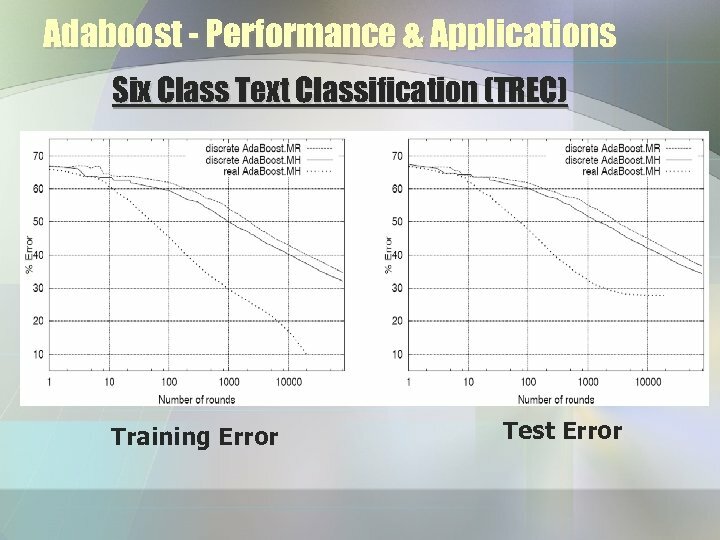 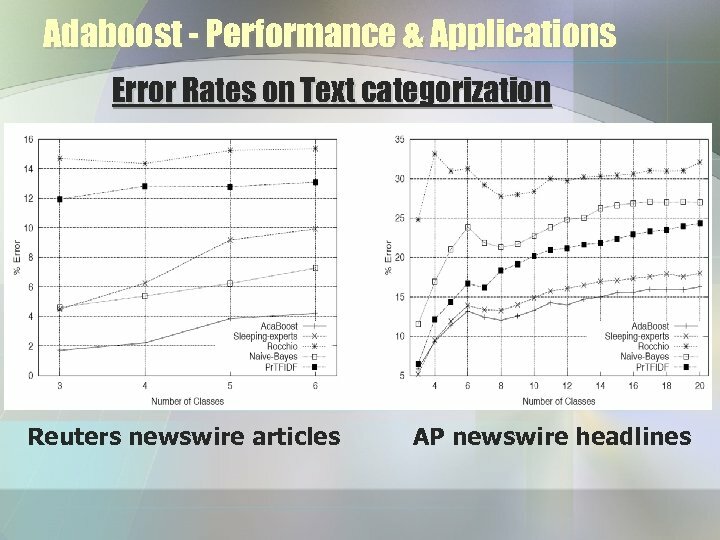 Introduction • The Boosting Approach – Lots of Weak Classifiers – One Strong Classifier • Boosting key points: – Give importance to misclassified data – Find a way to combine weak classifiers in general rule. 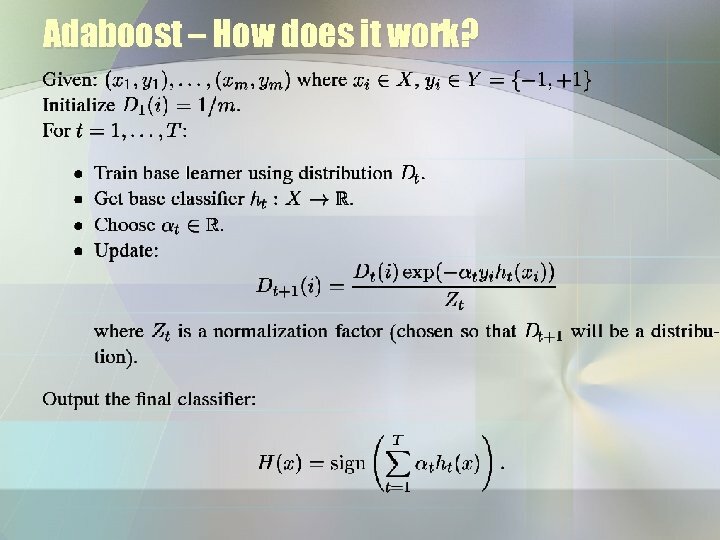 Adaboost How does it work? 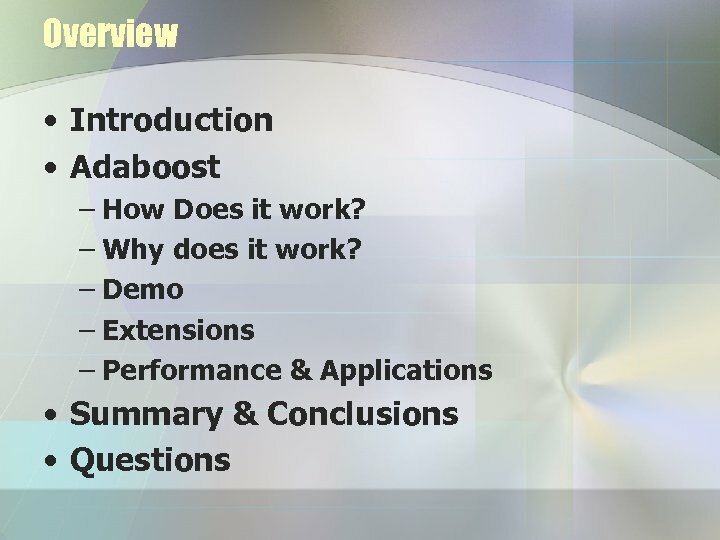 Adaboost – How does it work? 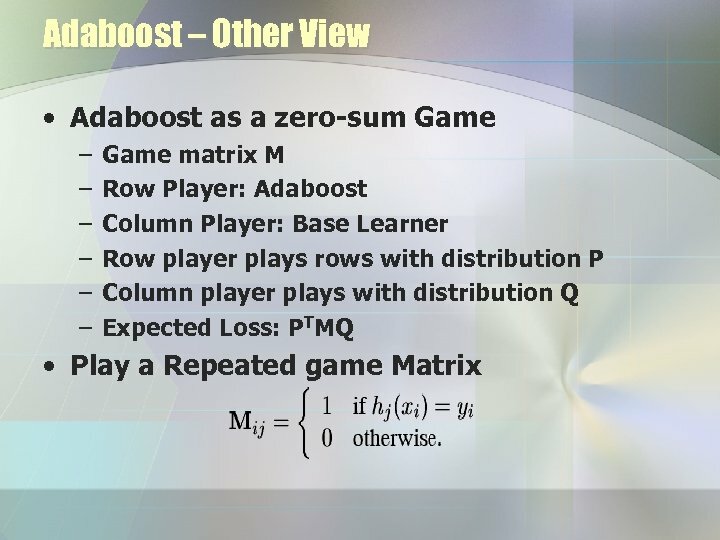 Adaboost Why does it work? 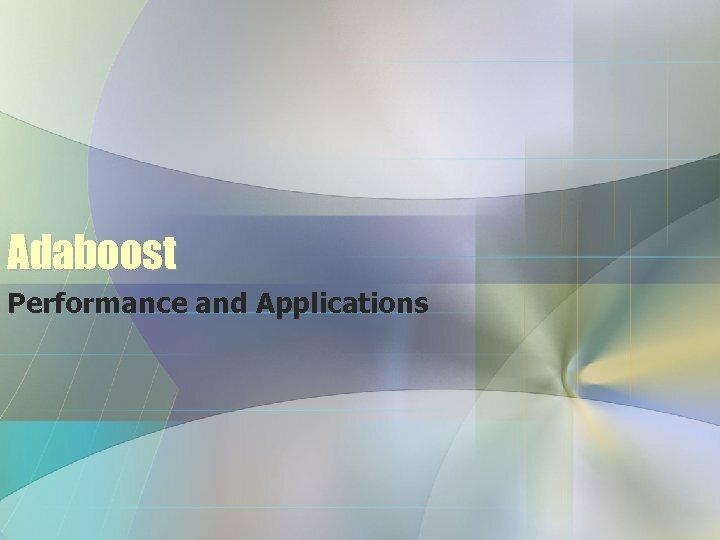 Adaboost – Why does it work? 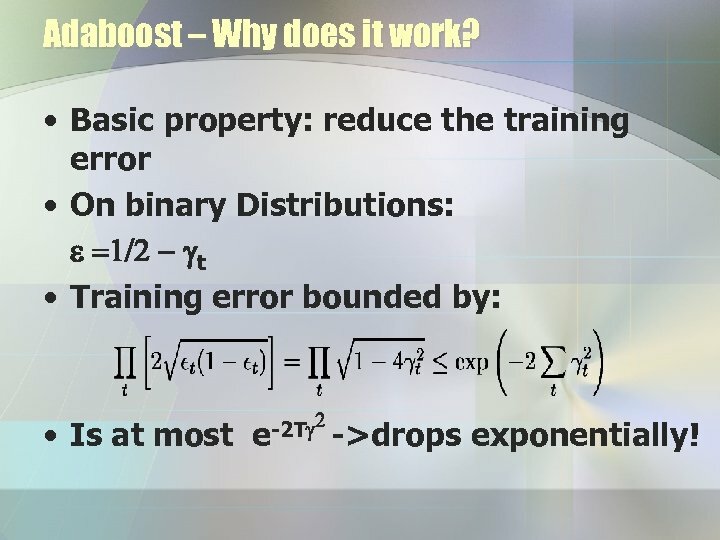 • Basic property: reduce the training error • On binary Distributions: e =1/2 - gt • Training error bounded by: • Is at most -2 Tg 2 ->drops e exponentially! Adaboost – Why does it work? 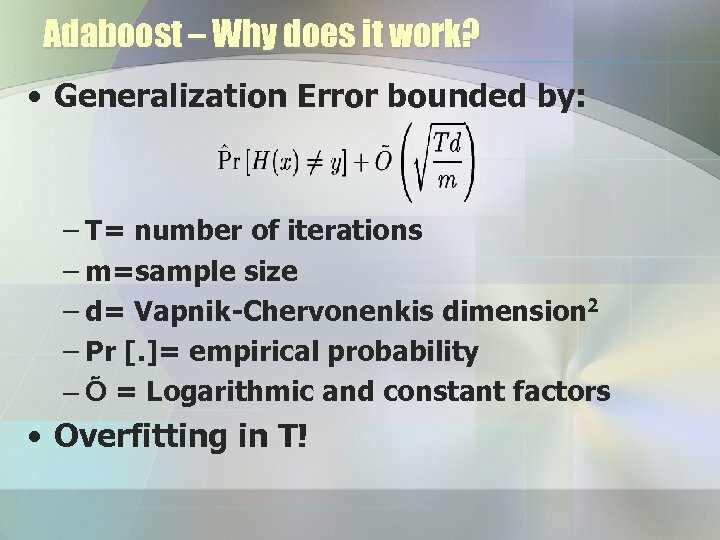 • Generalization Error bounded by: – T= number of iterations – m=sample size – d= Vapnik-Chervonenkis dimension 2 – Pr [. 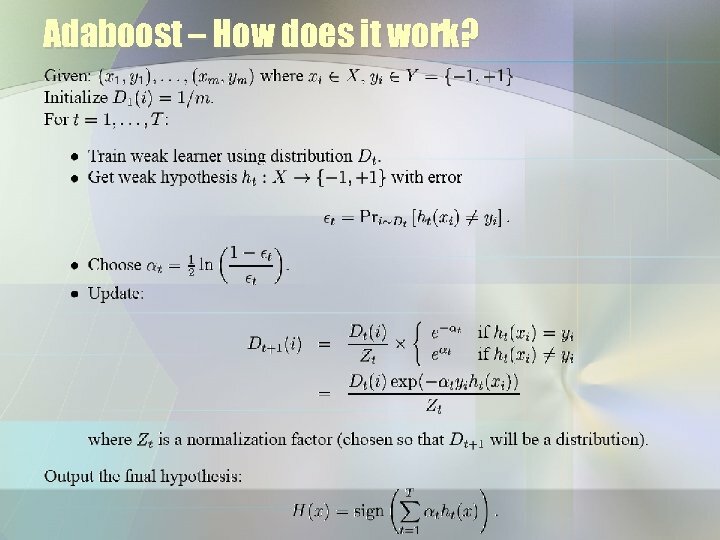 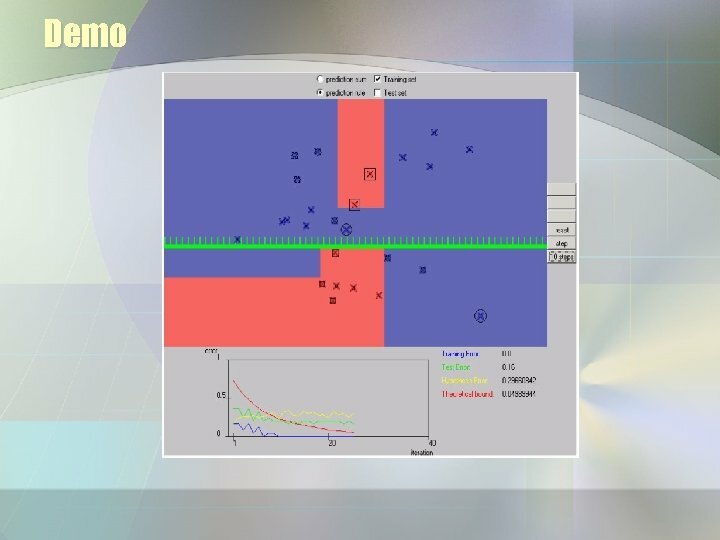 ]= empirical probability – Õ = Logarithmic and constant factors • Overfitting in T! Adaboost – Why does it work? 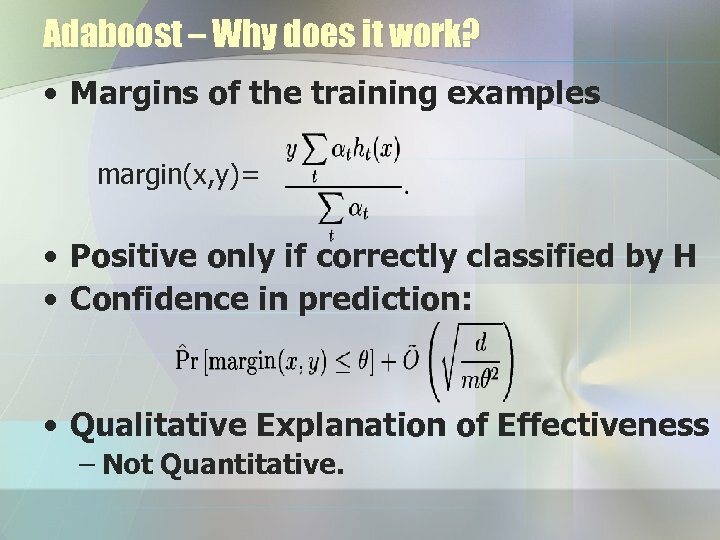 • Margins of the training examples margin(x, y)= • Positive only if correctly classified by H • Confidence in prediction: • Qualitative Explanation of Effectiveness – Not Quantitative. 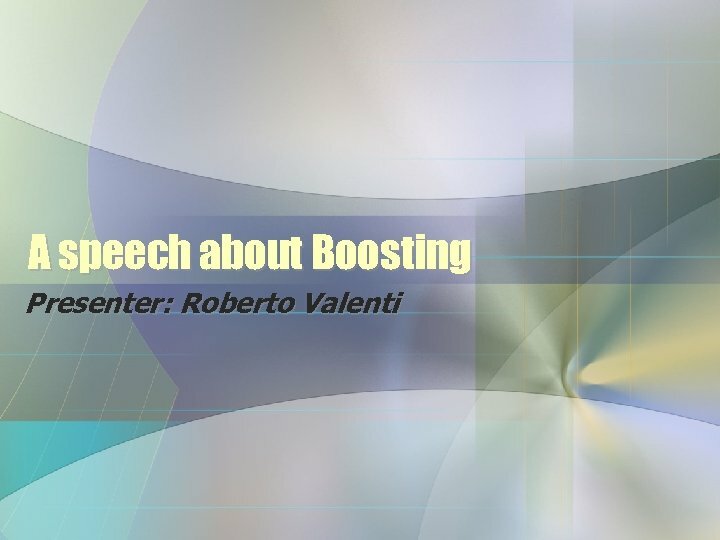 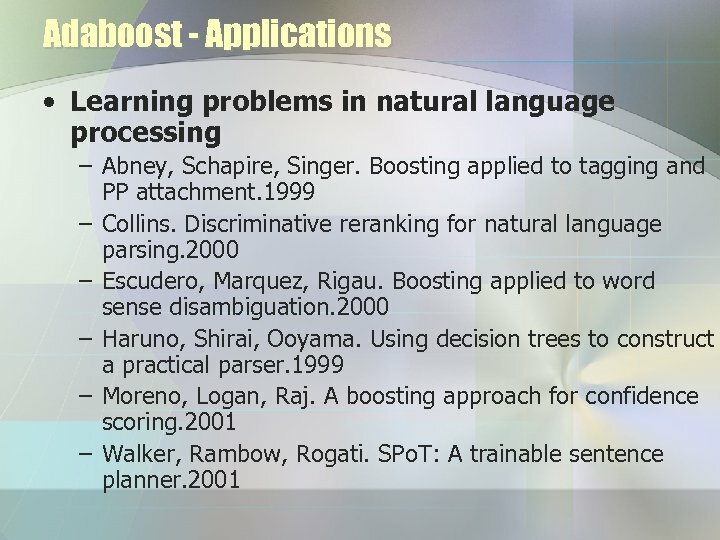 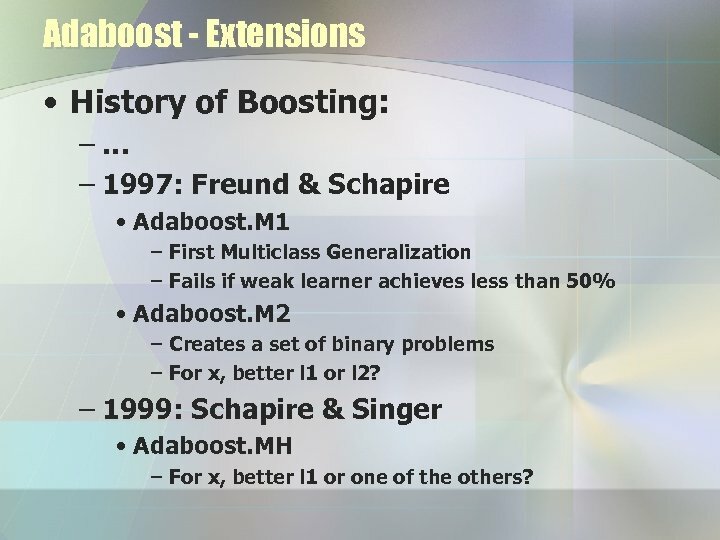 Adaboost - Extensions • History of Boosting: –… – 1997: Freund & Schapire • Adaboost. 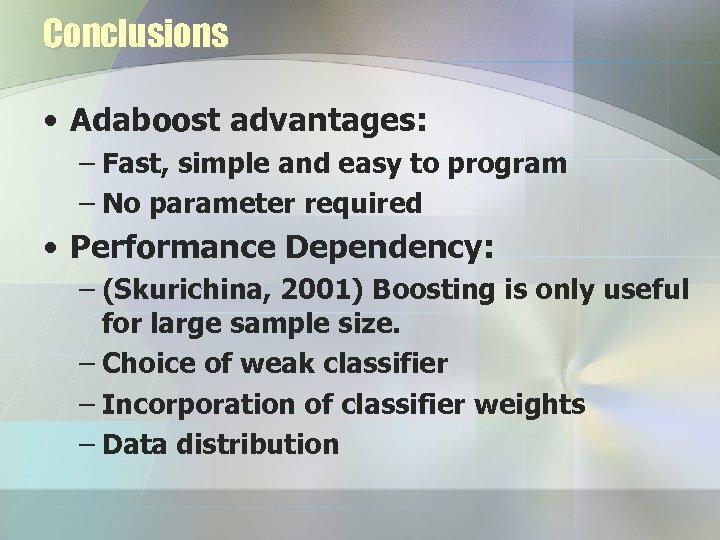 M 1 – First Multiclass Generalization – Fails if weak learner achieves less than 50% • Adaboost. 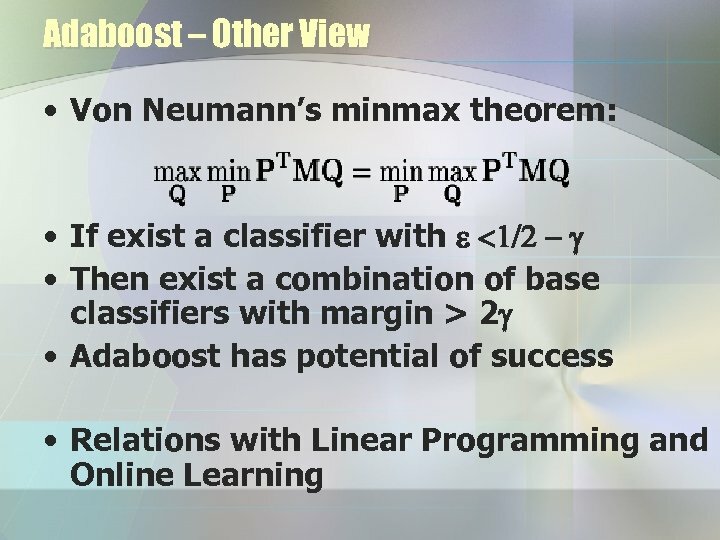 M 2 – Creates a set of binary problems – For x, better l 1 or l 2? 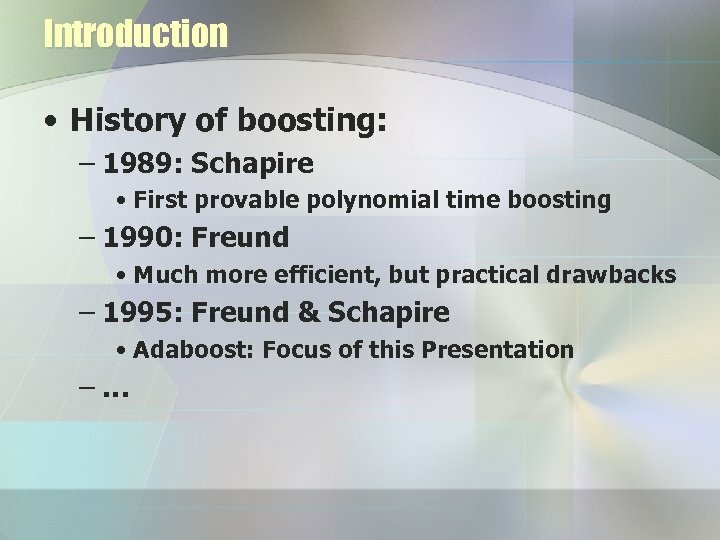 – 1999: Schapire & Singer • Adaboost. 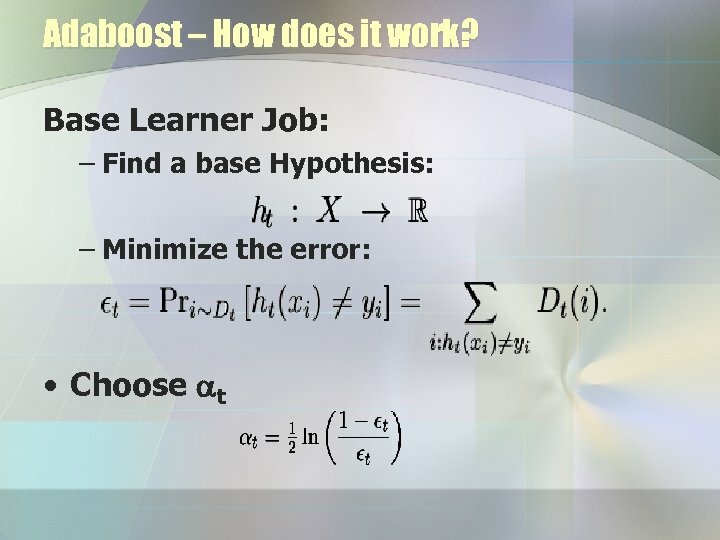 MH – For x, better l 1 or one of the others? 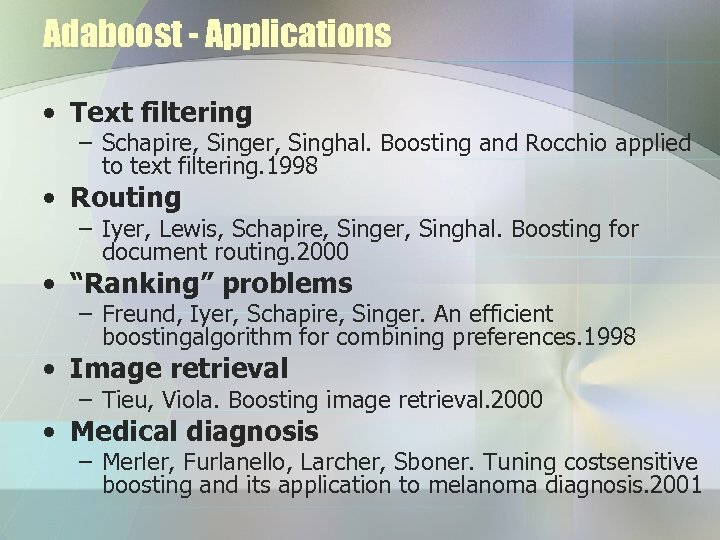 Adaboost - Extensions – 2001: Rochery, Schapire et al. 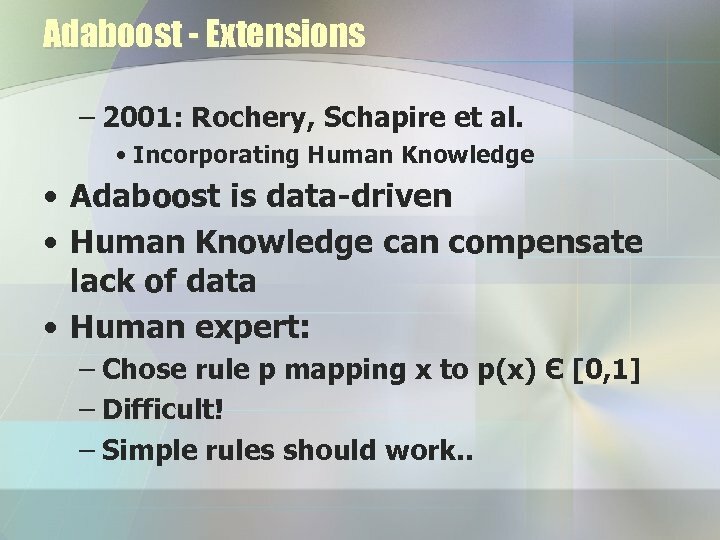 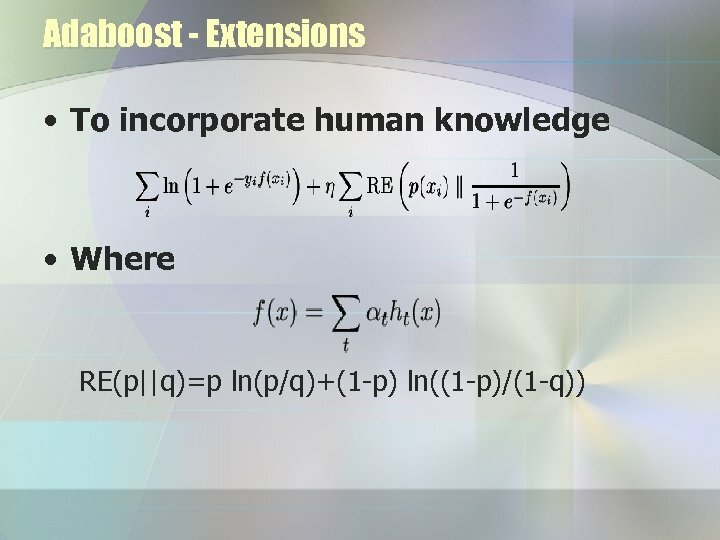 • Incorporating Human Knowledge • Adaboost is data-driven • Human Knowledge can compensate lack of data • Human expert: – Chose rule p mapping x to p(x) Є [0, 1] – Difficult! 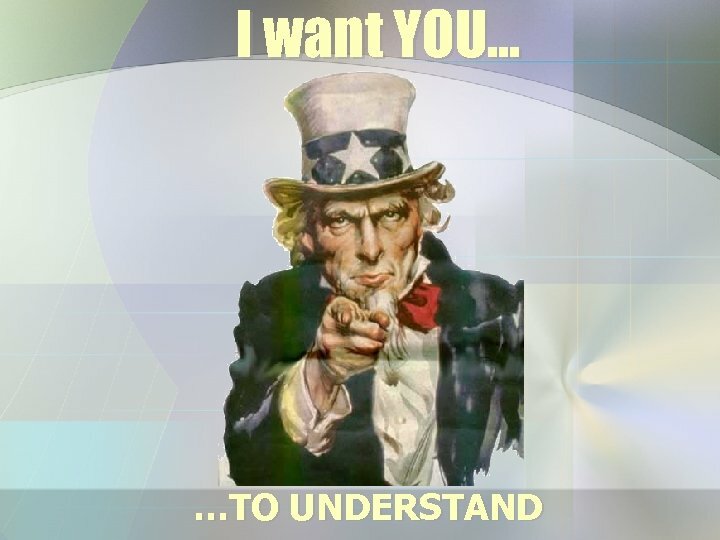 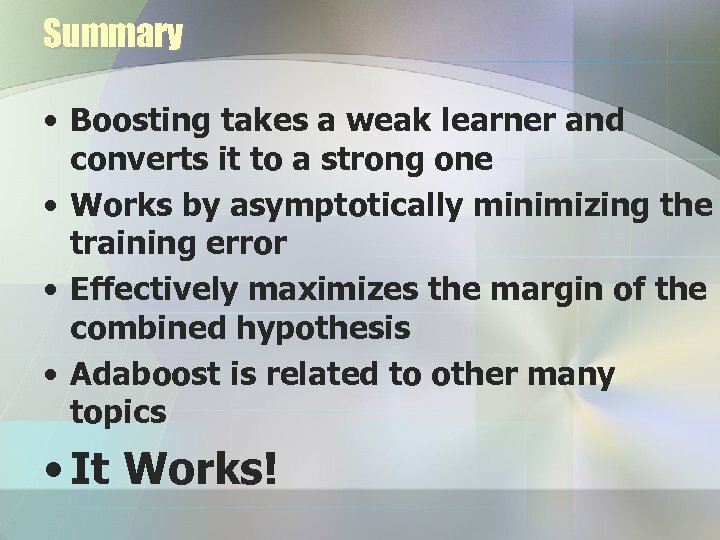 – Simple rules should work. .
Summary • Boosting takes a weak learner and converts it to a strong one • Works by asymptotically minimizing the training error • Effectively maximizes the margin of the combined hypothesis • Adaboost is related to other many topics • It Works!